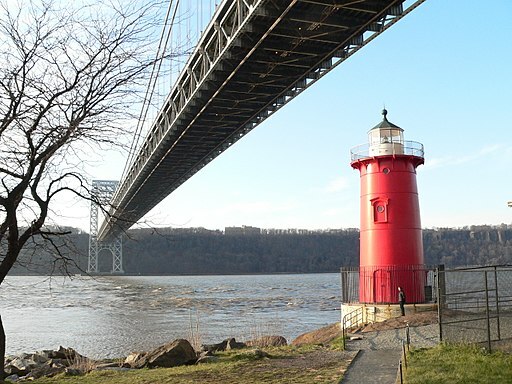 Celebrate Manhattan’s only remaining lighthouse at the annual Little Red Lighthouse Festival. The event features Urban Park Ranger educational presentations, visits to the lighthouse interior, readings of The Little Red Lighthouse children’s book, fishing clinics, live music, food vendors, and fun family activities. The Little Red Lighthouse is located in Fort Washington Park at West 181 Street and Plaza Lafayette. Enter the park at 158th or 181st Street and follow the pathways to the waterfront. Walk towards the George Washington Bridge, where the Lighthouse is located. The 2017 Little Red Lighthouse Festival is Saturday, October 7th from noon to 4:00 p.m.